Sign up for Broadjam today to follow We're Not Erwin, and be notified when they upload new stuff or update their news! We used to be Erwin, now We’re Not Erwin. The music of LA based WNE combines the depth and introspection of British bands like The Verve & Coldplay with the pop sensibility and enthusiasm of American bands like Foo Fighters & Mbox 20. Since inception in early 2003, the band has performed in venues along the Sunset Strip and has quickly been making fans throughout SoCal. Presently, WNE has a regular attendance of 50-100 fans at every show. 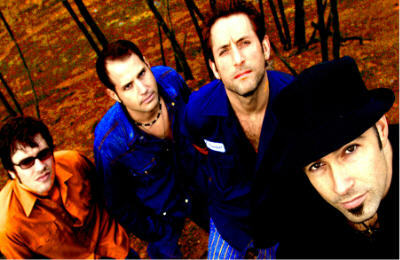 WNE emerged on the music scene as a project conceived by Tony Buschauer, the band’s singer and rhythm guitarist. Fueled by purpose and armed with unique, but catchy songs, Tony was able to team up with the rest of the band, all veterans of the SoCal music scene. In April 2003 the band teamed up with producer Brian Reeves (Rooney) to record their debut EP. The band was originally titled Erwin, but as fate would have it, another LA band was already performing as Erwin. WNE is currently writing, promoting like crazy and booking shows throughout CA.